Germany is home to the fastest growing Jewish community in the world today, with Russian-speaking Jews now comprising some 90% of the population. It is reported that the younger generation of immigrants feels estranged from their Russian culture and identity but still do not feel comfortable with defining themselves part of the established German community. This has created a crisis, especially regarding the community’s continuity and leadership. 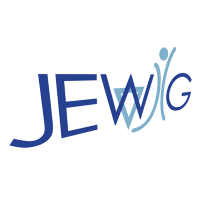 Established Jewish leaders in Germany which may include heads of communities, lay leaders and education professionals and senior community professionals. All the tracks offer seminars and meetings which focus on a variety of topics appropriate to the needs and characteristics of their target audiences. Additionally, two annual 3-day forums will bring participants in the five tracks together to attend lectures, participate in round tables and other activities around a central theme, such as 50 years of diplomatic relations between Israel and Germany or 70 years since the end of WWII. Interactions will be facilitated through structured discussion groups, and the venue and schedule are designed to incubate personnel connections.